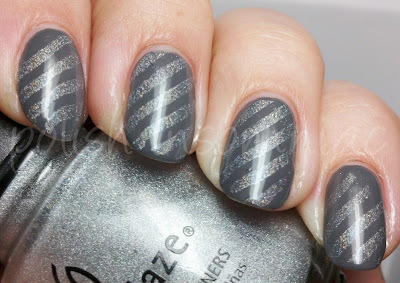 I received many question on how the China Glaze Tronica's working for konad, so I thought I should try it out! I found them to be quite easy to konad with, easier than both the Kalediscopes and the OMG's. The OMG's dry so quickly, I often had trouble transferring the image in time. The Kalediescopes are wonderful, but they are ususally too light. For example, if I put He's Going in Circles on a dark color, like a forest green, it just looks silver. 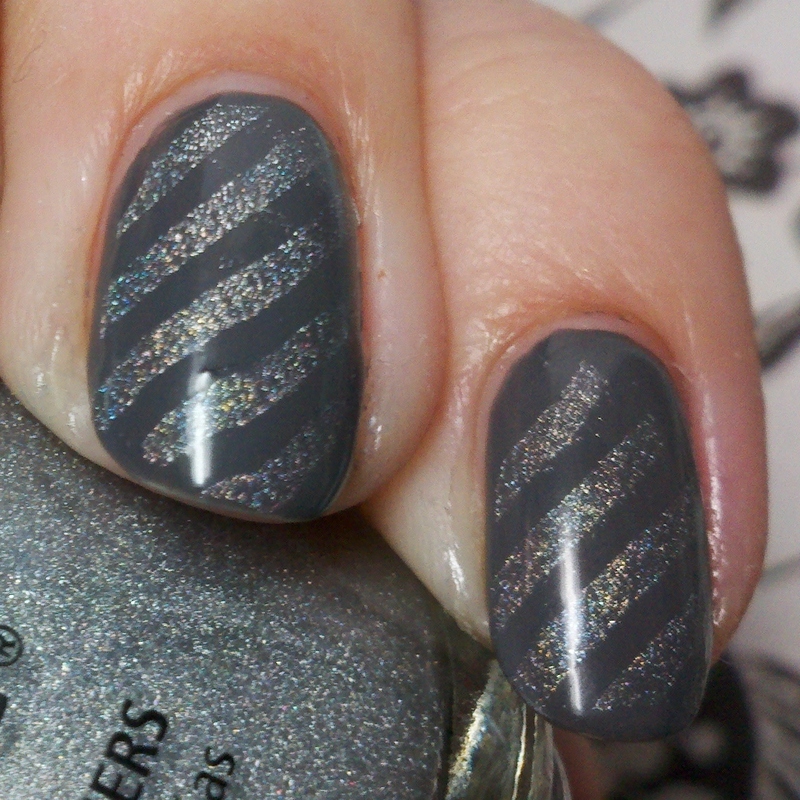 I also think stamping over a base allows the holo to show up a bit better, as you can see above! Check back tomorrow for Saturday Spam!